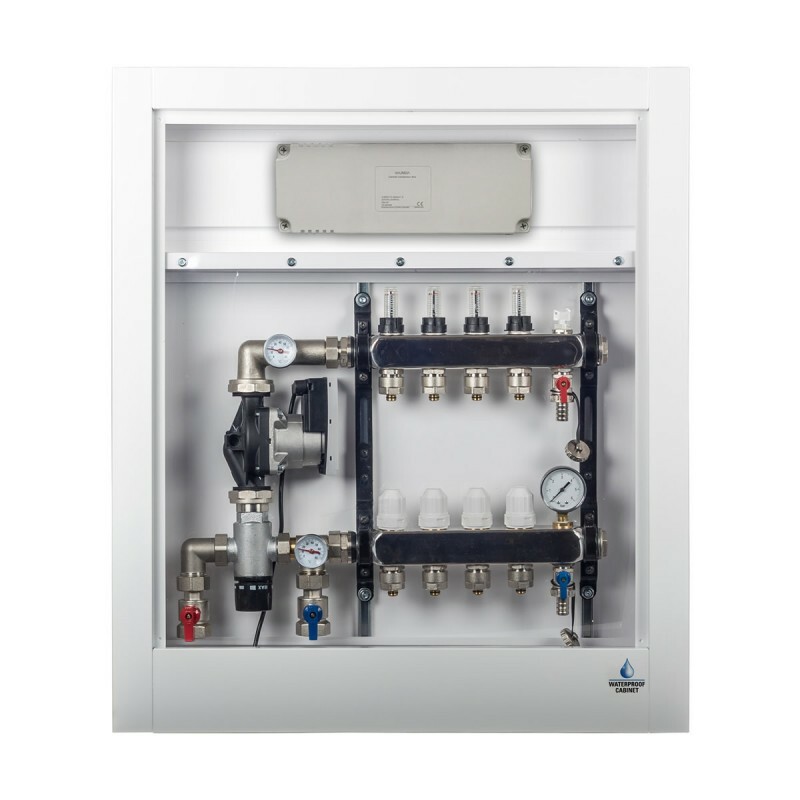 Wunda’s premium waterproof manifold cabinet provides a secure and simple solution for housing a Wunda Manifold and WILO Premium Pumpset*. *For use with Wunda Premium Pumpset & WILO pump only; Grundfos pumps are deeper and will not allow the door to close. Wunda's surface mounted waterproof manifold cabinet can be fixed in any suitable location.